It’s been a big year for the online video industry. We’ve seen multi-million dollar acquisitions, significant licensing deals and commissions for original content, and more. So in looking back at 2014, here are the deals (in no particular order) that were the most pivotal for the industry, as determined by how they either impacted dealmaking over the course of 2014 or how they will drive a trend in 2015. 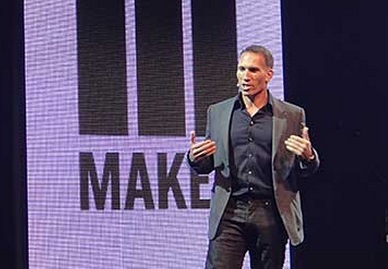 Maker Studios’ sale to Disney came as a shocker that rippled through the industry when it was announced in March of 2014. Not only did the company score a valuation that raised some eyebrows as it vaulted the industry into “bubble territory,” but the acquisition also set a benchmark for valuations for other established MCNs looking for exits. In short, this acquisition set in motion a “land grab” on both sides of the market (buyers and sellers) and inflated the asking prices of every MCN to follow, great for investors, potentially bad for long-haul business. Fullscreen was quickly poached as it pushed for a $500M+ valuation, StyleHaul opened its doors to purchasers (later to be acquired by investor RTL Group for $107 million, plus additional investments and earn-outs), Base79 out of the UK went to Rightster for over €50 and Big Frame sold to AwesomenessTV for a marginal amount as compared to Maker. While MCN Land business models went from questionable to sizzling in 2014, we’ll see the valuations balance back to reasonable territory in 2015 and fewer domestic MCN acquisitions. Internationally, it’s likely we’ll see more investment from traditional studios and networks in both US and foreign MCN businesses similar to the investment ProSiebenSat.1 made in Collective Digital Studio. 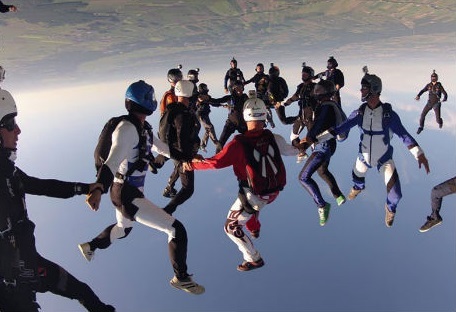 The GoPro IPO was certainly one of the hottest in 2014, especially for the video category. Like an adrenaline junkie barreling down a mountain face, so did the investors who charged to get in on GoPro’s original IPO of $100 million. While the stocks saw surges upwards of 100% shortly after the IPO an into early fall, followed by stark dips in price, analysts predict that GoPro will see an additional surge of 24% growth this year, compared to it’s projected 36% growth in 2014. And despite stock prices “trading at nearly 100 times [2014’s] earnings and nearly 80 times [2015’s] profit target” in October of this past year, the GoPro IPO points towards a massive opportunity for device makers who bring accessibility and easy entry into video creation. Already we’re seeing GoPro cameras being rigged to create virtual reality experiences, a big trend in 2015 we’re seeing at CES already. Plus, the potential for GoPro to track in the steps of Red Bull Media is high with the likely formation of its own studio arm, possibly its video platform a la Spike TV for the digital generation. With the recent hire of Zander Lurie as SVP of media, and the addition of Adam Dornbusch, GoPro’s head of programming in 2013, you can bet we’ll start to see some major action in original and curated UGC content on and off YouTube or Vimeo in 2015. We knew it was coming; HBO and its parent company Time Warner had hinted about the possibility of eventually cutting the cord and going over-the-top in the US. In 2015, that will finally happen — sort of. Here is what we don’t know: How will content be available on HBO’s standalone service? Will it be available as soon as it airs on TV, as it is with HBO Go (in most cases)? Or will HBO look to window that content in a way to continue prioritizing those who are willing to pay for it on TV? Furthermore, how will the service be available? Would it be an add-on to existing broadband packages (which means HBO would rely on broadband providers, who also tend to be pay-TV distributors, on things like marketing, billing, and other infrastructure-related systems)? Or would it work with a digital distributor like Amazon? Or would it want to bring all of that in-house in order to retain a higher cut of the revenue? Historically, HBO has not had to market its service or handle billing and related infrastructure — pay-TV distributors would provide those services as part of their carriage deals. But with that no longer in play, and with HBO continuing to reassure industry people that it’s not looking to cannibalize its existing pay-TV revenue stream (which is highly lucrative after all), it’s going to be interesting to see what “HBO cutting the cord” actually means. It’s a big moment for digital entertainment; but exactly how big is it? 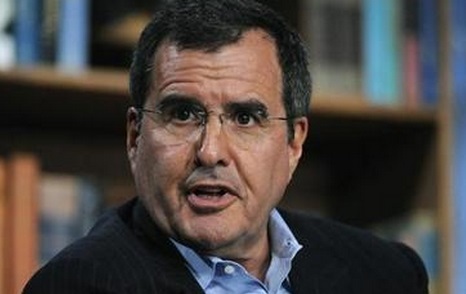 While the partnership between The Chernin Group and AT&T is still in its early infancy, the formation of a $500 million fund for over-the-top-specific companies puts an important stake in the streaming industry. Not only has this enabled AT&T to make strategic investments without having to go through the corporate red tape that could slow quick acquisitions (like the majority stake taken in The Chernin Group-backed Fullscreen), but it also signals an important trend I see coming in 2015 — mobile carriers and devices making big strides in the streaming space. AT&T has threads into broadband and mobile, where we’ve consistently reported surge viewing habits. Couple that with the properties that The Chernin Group and Otter have already invested in, and well, you have yourself the cable network and content studios of the future targeted at the most coveted demographic — millennials. Fullscreen, Rooster Teeth (which was acquired by Fullscreen), Crunchyroll… Each bring a piece of the models that work — Fullscreen has an audience tapped on YouTube and is building a millennial-focused subscription service; Rooster Teeth has proven success in producing hyper-successful content for that demographic and also has a devoted audience both on and off YouTube; and Crunchyroll has the subscription service model, a strong male, multi-national audience and the infrastructure in place to support Otter’s portfolio investments. In 2015, I think we’ll see a lot more activity from the carriers, like Verizon Wireless, and the device manufacturers like Samsung, who also recently launched its own premium content destination available only on Samsung mobile, and soon Smart TV, devices — Milk Video. So not only does Otter infuse capital in to this massively expanding industry, but it also has the pipes and portfolio to build a very interesting model for the future. 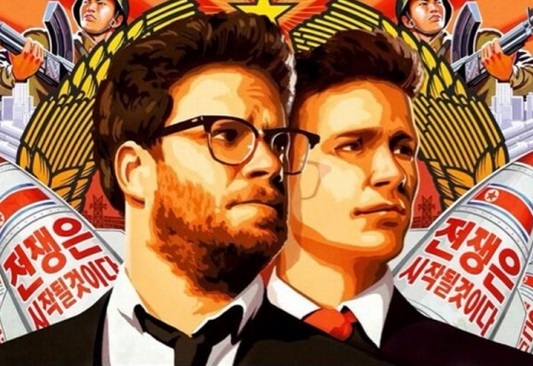 Sony Pictures Entertainment’s decision to digitally release “The Interview” — a movie that cost roughly $44 million to make — and the deals that came together in the short weeks between the cyber-attack against the studio and the scheduled theatrical release on Christmas, top our list as the most pivotal deal(s) of 2014. Yes, this decision to distribute digital came about after Sony had no other option, and in the “name of freedom,” but nevertheless, this is a huge deal for YouTube, Kernel, and all streaming partners involved in the flash release of “The Interview” online. While the Sony hack, allegedly by North Korea, exposed some of Hollywood’s darkest secrets, it also forced a major studio to take a leap that mainstream Hollywood has been severely averse to. And, as every digital studio in the industry chases down its “‘House of Cards’ moment,” Sony Pictures has become the first studio to stream a big budget feature online. They’ve also, with their streaming partners, delivered a case study for a monetized, digital distribution strategy for a blockbuster film that combines theatrical and digital distribution from the very beginning. Whether successful by traditional Hollywood terms or not, the way the distribution of “The Interview” unfolded was pivotal for the online and streaming video industry. What makes the story doubly interesting is what this could mean for Netflix’s upcoming film plans. The streaming service has already partnered with The Weinstein Company and Imax to (hopefully) release a sequel to “Crouching Tiger, Hidden Dragon” in theaters and on Netflix worldwide. Netflix also has a multi-picture deal in place with Adam Sandler. “The Interview” made $15 million online in four days. Granted, it was a unique situation, but it also does suggest that it’s possible to get people to pay for and watch films on digital platforms, which can only be good news for Netflix as well as studios looking to produce bigger budget projects for digital distribution. Jocelyn Johnson is founder and principal, VideoInk. This post was originally published on VideoInk, and is reproduced here in partnership with MIPBlog. More soon! For more of VideoInk’s analysis on what happened in 2014 as well as what to look forward to in 2015, we recommend VideoInk’s profile on Rooster Teeth, its Digital Network of the Year; Bernie Su, its Digital Creator of the Year; and its features on the “10 Startups & Technologies to Watch in 2015” and 2015 predictions for the industry by the industry.